I am always surprised that Kafue seldom crops up in discussions of Africa’s top destinations. 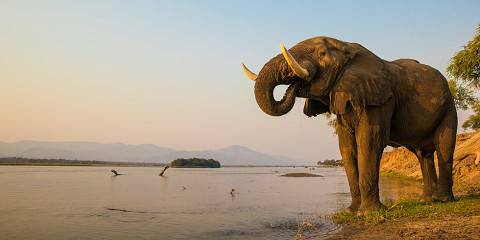 The park is vast – at 22,500 sq km, it is Zambia’s largest – and its variety of wildlife competes with any on the continent. The reason comes down largely to neglect: a legacy of past poaching and a dilapidated infrastructure means the park has not fared as well as the more famous South Luangwa, and is often overlooked by operators. 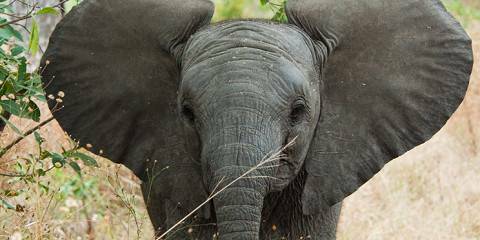 It is true that many animals, including elephant, are harder to find, and game tends to be more skittish. But on my visit I encountered a rich variety – from the great herds of lechwe splashing through the floodwaters of the Busanga Plains, to the two separate leopards I met padding through the riverine bush along the Lufupa River. Indeed, the park’s many landscapes are so distinct that it can be easier to envisage as a series of small separate parks. In the southern sector, for example, there is a great difference between the thick miombo bush of the Kaingu section, with its rock outcrops and river rapids, and the open savanna of the Nanzhila Plains. Access can be tricky, with long drives over difficult terrain. Give the place plenty of time: the rewards are a dearth of other visitors and a real sense of exploration. Kafue is the best place in Zambia to find cheetah, wild dog and roan, and has the country’s most impressive bird list. Kafue National Park is the oldest and largest in Zambia, yet one of the least visited, after having suffered years of neglect. Today, the plains teem with wildlife and you’d be hard pressed not to come back with a handful of impressive encounters under your belt. The Busanga Plains at the northern end of the park are a great place to start. These flood plains provide fertile grazing ground for massive herds of buffalo, and are well known for their prides of lions, as well as cheetah, leopards and wild dog. You’re also likely to encounter buffalo, zebra, hippo and various antelope species. Best of all you’ll get to experience this wildlife spectacle with few other companions – the fact that the park is wild and undeveloped is one of its major attractions. Kafue is one of Zambia's greatest parks - while the tourists jet into South Luangwa in the east, this immense wilderness area in western Zambia is relatively undiscovered and has the best access of any park in the country. The size of a small European country, you'll never see the whole thing (although I'm still trying). The park is divided into north and south by the western highway running from Lusaka out to far flung Mongu. 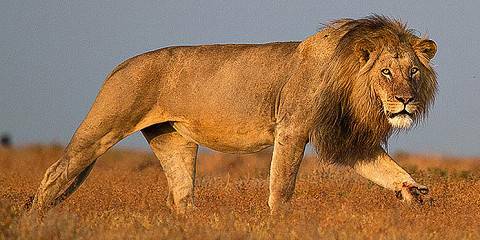 Your chances of seeing big cats like leopards (I saw one on a kill just outside of camp) and lions are high and the park has an extraordinary profusion of birdlife. Most of my adventures have been in the north where you can stay in unfenced camps (don't go walking by yourself at nights!). 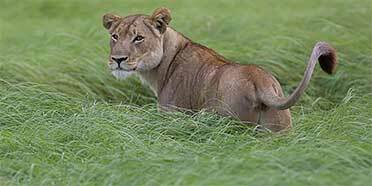 I went lion tracking through the bush spending several nervous hours poking around grasslands, an invigorating and slightly intimidating experience. Ultimately we were unsuccessful; however we learned later that a herd of buffalo had been tracking us the whole time! Extending over 22,500 sq km, and with more mammal species recorded than any other African reserve, much of the this vast park is covered in monotonous miombo woodland, where we found wildlife to be quite sparse. However, it is almost impossible to overstate the quality of dry-season game viewing around the Busanga Floodplain. Here, we saw cheetah and lion with a frequency that bears comparison to the Serengeti, thanks to the veritable feast of ungulates such as zebra, wildebeest, buffalo and the rare roan antelope and marsh-dwelling red lechwe. Birdlife is fantastic too: the endangered crowned crane and wattled crane are abundant, and other highlights included Stanley’s bustard, coppery-tailed coucal, Hartlaub’s babbler and pink-throated longclaw. Another highlight are motorboat trips on the Lufupa and Lunga Rivers: we saw plentiful elephant, hippo and crocodile, and an incredible tally of eight African finfoot sightings over four boat outings. Big enough to gobble up Wales, Kafue encompasses quite a variety of habitats. The most distinctive are those of Busanga Plains in the north, where flat grasslands and miombo woodlands are dotted with island-like clumps of date palms, sausage trees and fig trees. The open landscapes found here make a satisfying contrast to the riverine woodlands of South Luangwa. Even in October, late in the dry season, there still seemed to be plenty of grazing – enough to support a parade of buffalo and delightful antelopes including oribi, roan, red lechwe and puku. After-dark calls and occasional daytime sightings left us in no doubt that there were plenty of lions about, and there are wild dogs here, too, though sadly these eluded us. This is a park which definitely deserves more visitors than it currently receives. Kafue is a bit of a strange place. It’s Zambia’s oldest and largest park and perhaps its most accessible (by road at least); it boasts a staggering number of mammal species including rarities such as roan antelope and African wild dog; there are also more than 500 recorded species of bird including the rare African skimmer. But for all this, the park is largely empty of tourists and tour operators continue to be reluctant to sell it to their clients. Whilst there are plenty of big predators and elephants around, the sheer size of Kafue ensures it certainly isn’t ever going to be a top “Big 5 in 24 hours” destination. You need time to get the best out of this park. But from my experience, be patient and it will be worth it. As with Lower Zambezi, a boat trip or guided canoeing safari on the life-giving Kafue River are absolute highlights, particularly in the rocky sections around Kaing-U Safari Lodge. Deep inside this enormous park you’d never think you were just a few hours drive from Zambia’s capital Lusaka. South Luangwa is sometimes referred to as “Africa’s last great wilderness”, but Kafue is perhaps a more worthy recipient of this title. Imagine a wilderness the size of Wales and you begin to get a feeling of what Kafue is like. It’s one of the biggest parks in the world and is criss-crossed with rivers, including the wide Kafue River itself with its shady banks and hippo pools. The road from Lusaka to Kaoma cuts through the park from east to west, and it is the northern sector that attracts the most visitors. Lufupa Lodge, a no-frills establishment at the confluence of the Lufupa and Kafue rivers, has a good reputation for finding leopards on night drives; but if it’s lions you want you must head for the Busanga Plains in the far northwest of the park. When the floods recede at the beginning of the dry season Busanga resembles the Serengeti, but with islands of fig trees instead of granite kopjes and huge numbers of birds, including crowned and wattled cranes. On my last visit I saw cheetah here, too, and with luck you should also find roan and sable antelope. Kafue National Park is one of the largest parks in Africa and it feels it. Each sector of the park feels like a different place. One of the main attractions is Busanga Plains in the far north which become inaccessible in the rains. These plains are a magnet for the red lechwe antelope. I’ve seen thousands of them gathered on the floodplains. Kafue is in fact home to a host of interesting and unusual antelopes among which are oribi, Lichtenstein’s hartebeest, roan and puku. Another interesting area is around the Kafue River and its tributaries. Boat trips are conducted and I’ve ticked some real specials here like Pell’s fishing owl and African finfoot.